Although 34,000 U.S. troops will leave Afghanistan over the next year, the war is far from over. NATO and Afghan forces continue large-scale operations, with a recent strike killing 25 insurgents. Earlier in the week Afghan President Hamid Karzai’s order preventing local security forces from requesting international airstrikes was met with criticism. While military officials say the ban will not affect U.S. and allied operations, some argue that the ban may limit Afghan forces’ effectiveness. We need a better strategy for winding down the war and continued engagement in Afghanistan, because if the current strategy continues, we could end up spending billions of dollars ineffectively. Critics expressed worries Monday that a presidential order barring Afghan security forces from requesting international airstrikes during operations in residential areas could hobble government troops even as they prepare to take over full responsibility for security in the country from international forces. The Afghan army is one of the least corrupt parts of a society where more than two-thirds of the citizens think it’s fine for bureaucrats to take bribes. Now that reputation is getting its biggest test: access to more money. Billions of dollars more. As the military begins carrying out President Obama’s order to cut force levels in Afghanistan by half over the next year, getting 34,000 troops out is the easy part: just deliver them to an airfield, march them by the hundreds onto transport planes and fly them home. President Obama insists that the big U.S. role in Afghanistan is coming to an end…What’s not coming to an end is the gusher of billions of dollars the United States is pouring into support of Afghanistan’s army and national police. “Crackdown and negotiate” likely framed Obama’s recent conversations about the plan for our long-term military commitment as well as for achieving our political goals. Burr’s bill pushed the White House to shift that balance. In last week’s State of the Union address, President Obama announced that 34,000 of the 66,000 U.S. troops stationed in Afghanistan will be withdrawn by this time next year. The announcement clarifies the pace of the drawdown, but it doesn’t represent a change in policy. 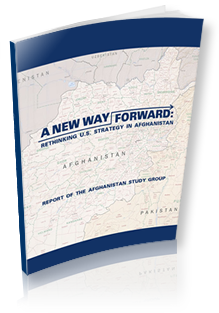 The U.S. commitment to Afghanistan will continue even after combat troops are withdrawn by the end of 2014. Ongoing military operations have been the main driver of the war budget over the past eleven years. These costs will decline as troops leave, but the costs of supporting an enduring military presence will continue. Of course, troops are just one component of the U.S commitment to Afghanistan. Training and equipping local security forces has been a cornerstone of the U.S. plan in Afghanistan. To date, the U.S. has allocated over $50 billion in security aid to Afghanistan. But the capability of the Afghan security forces is questionable. According to a Pentagon assessment, only one of the Afghan National Army’s twenty-three brigades is capable of operating independently. A look into economic and development aid is just as troubling. The U.S. has spent tens of billions of dollars on reconstruction projects in Afghanistan that were later found to be unnecessary and unsustainable. The lack of a long-term, comprehensive plan for Afghanistan funding led to an unusual circumstance, Steve Clemons and Richard Vague noted in a recent interview: some years the U.S. spent more than one hundred billion dollars in a country with a GDP of fourteen billion. Pouring billions of aid dollars into Afghanistan created more problems than it solved — an artificial aid bubble that will burst when international donors pull out. The direct costs of the war, from military operations to economic aid, are just the tip of the iceberg. The indirect costs — from caring for the veterans of Afghanistan (estimated at $1 trillion) to payment on the national debt — will continue long after the war is declared over. If the economic consequences were not enough to condemn the current strategy, consider the human cost: over 2,000 U.S. troops lost their lives in and around Afghanistan since October 2001; over 18,000 were wounded in action. The high costs of the war in both blood and treasure should prompt a reevaluation of U.S. policy towards Afghanistan. This does not mean abandoning Afghanistan, nor does it mean surrendering. It simply means recognizing that the current strategy is not working, and that continuing an ineffective strategy puts U.S. security at risk. It’s time to go back to the drawing board on our Afghanistan strategy, starting with the simple question of what we hope to achieve. Is the goal to disband and disrupt al Qaeda? Or is it to build a stable, secure nation? The answer may be both; the goals may be related. But articulating our goals is crucial. Uprooting a terrorist organization and nation-building are distinct objectives that require different tactics and different resources. The Afghanistan debate often focuses on the number of U.S. troops that will remain after the 2014 deadline. This is an important , but we should be asking more fundamental questions about our Afghanistan strategy. After eleven years and $600 billion, we can’t afford to continue along the current path. Asking pointed questions about our Afghanistan policy will not be easy — but it will lead to a more effective and cost-effective — strategy. In the State of the Union address, President Obama announced that 34,000 of the 66,000 U.S. troops in Afghanistan will be withdrawn over the next year. The post-2014 military presence is still unclear, though the Pentagon reportedly favors a phased reduction, starting at 8,000 troops and declining over the next two years. Meanwhile, on the nonsecurity side, a U.S. government watchdog called for more oversight of Afghan aid programs, finding that Afghanistan lacks the capacity to manage the large amount of funding promised by international donors. Half of Afghanistan’s population paid at least one bribe to public officials over the past year, for a total of $3.9 billion, according to a recent UN report on corruption. President Obama’s decision to remove 34,000 American troops in Afghanistan by this time next year represents a careful balancing of political interests and military requirements. Afghanistan’s government does not appear able to manage the large amounts of direct aid that the United States and other countries have pledged, the U.S. watchdog monitoring funds spent on Afghan reconstruction said. In an effort to fight the insurgency after U.S. troops leave Afghanistan by the end of next year, officials in Washington and Kabul are planning to dramatically expand a 3-year-old rural police force that has been implicated in human rights abuses and criminal activity. The Pentagon is pushing a plan that would keep about 8,000 U.S. troops in Afghanistan once the NATO military mission there ends in 2014 but significantly shrink the contingent over the following two years, according to senior U.S. government officials and military officers. It is time to accept that we are not going to turn 12 years of a failed Afghan tail into a strategically successful leg by leaving a few thousand combat troops on the ground after 2014. To do so would be to increase the cost of failure. At a meeting in London this week, Afghan and Pakistani leaders agreed to a six-month timeline to reach a agreement with the Taliban. However, ongoing violence in Afghanistan, including a recent bombing in that left five dead, indicates that peace negotiations will be difficult. In the U.S., new reports by a government watchdog suggest billions of dollars have been wasted on unsustainable reconstruction projects in Afghanistan. Afghan and Pakistani leaders agreed to seek a six-month timeline to reach a peace settlement with the Taliban, the first concrete target set for the long-sputtering reconciliation process. The Pentagon’s top civilian and military officials on Sunday expressed an expectation, even a desire, that American troops would remain in Afghanistan after the NATO mission ends in December 2014, although they emphasized that no decision had been made. More than 11 years after the U.S. invaded Afghanistan, Wednesday’s quarterly report from a key government oversight agency paints a grim picture of reconstruction efforts in the country as military operations wind down ahead of the 2014 deadline for international combat troops to head home. American inspectors have found that a $7.3 million security facility in Afghanistan remains largely unused and unkempt months after being turned over to Afghan security forces, raising further concerns about United States taxpayer waste in post-war Afghanistan. At this point, deciding on a number is less important than deciding on a mission. We shouldn’t ask American troops — or our Afghan allies — to risk their lives for a cause that can’t be won.